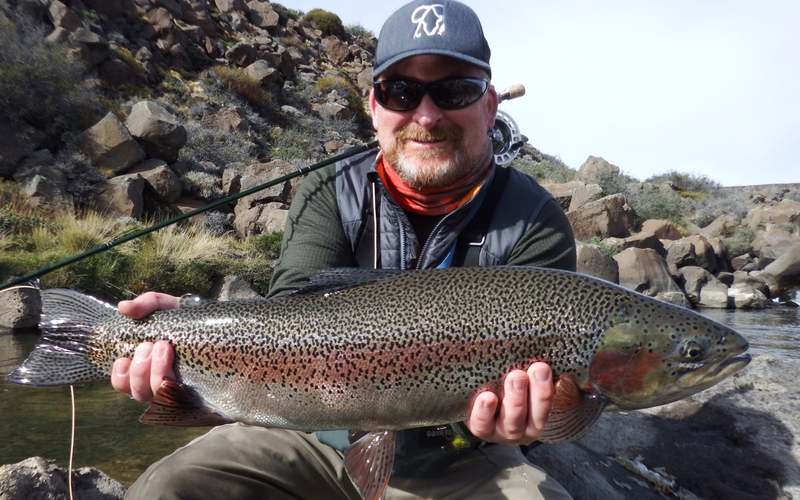 Just returning from an epic two weeks of serious trout fishing at Jurassic Lake Lodge (Strobel) and Estancia Maria Behety (EMB) on the Rio Grande. It’s been a trip of a lifetime for sure. Strobel surprised me in ways I didn’t expect. 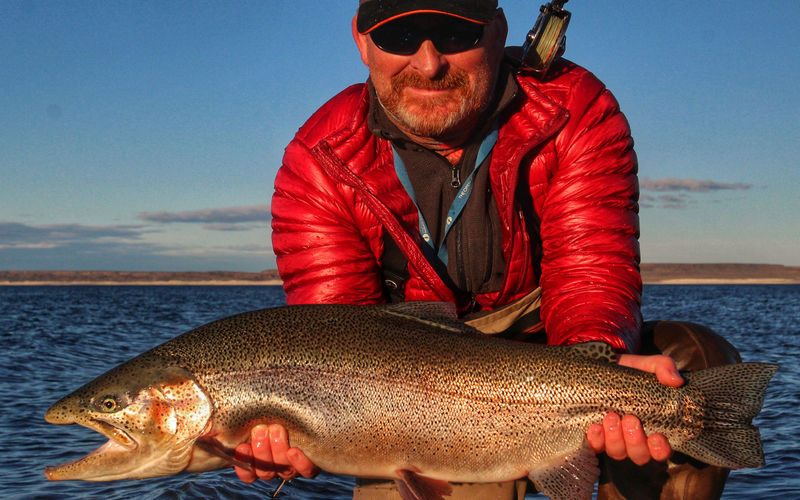 The shock and awe of a chrome 17lb Rainbow from the lake is a thrill like few other with a 7wt floating line in the hand. But that‘s what is kind of expected. The Barrancoso River was totally unexpected. 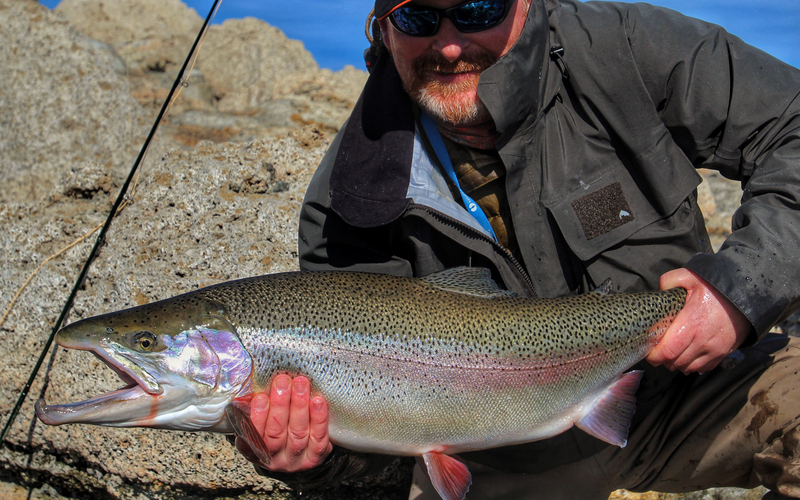 The Aquarium Pool must be the most productive trout pool in the world for size and weight. So much so it’s a crime to use a wet fly unless they happen to be off the take. Even that does happen here. But, oh, what fun on the dry fly! 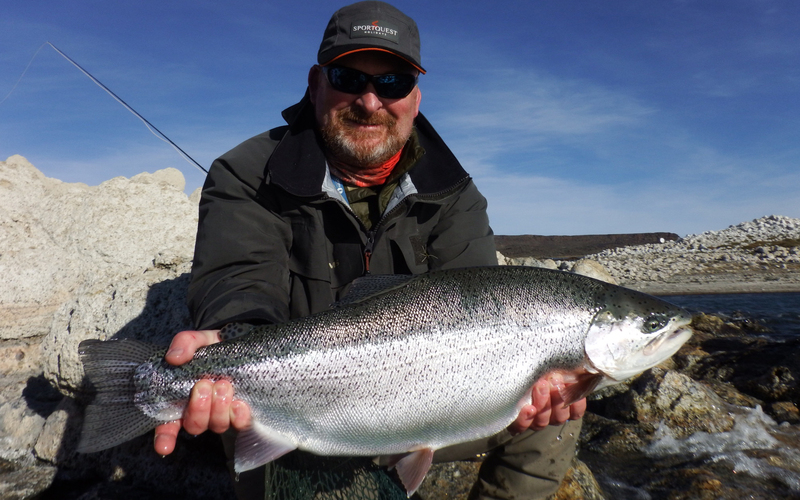 From elk hair caddis size 12 to big Chernobyl ants we had much fun. Canadian Style Bombers (soft landing when no wind) and a mouse worked too. 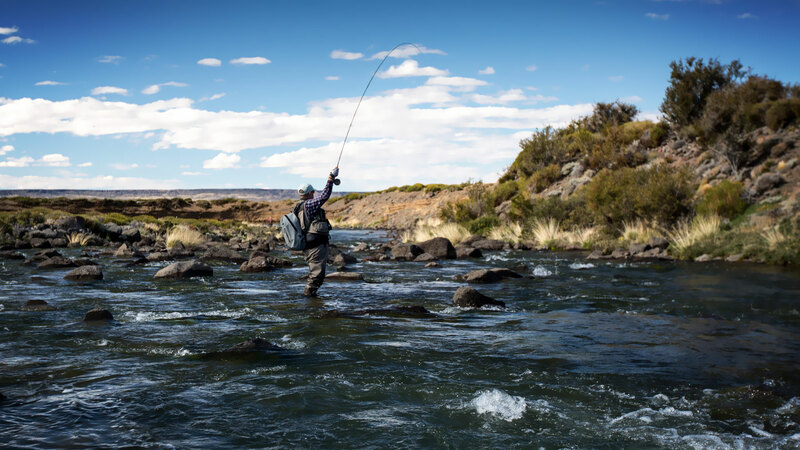 Then there is the intimate technical Upstream Nymphing and dry fly in the rocky pockets. It’s a challenge to hook up and land a big fish in these pools amongst the eager smaller trout but worth persevering. A 12 and 14lb from the top canyon pool on a small beetle on the last day! Despite one being a keen cave diver. So Strobel surprised because of the variety. I was a little concerned 5 days was a lot for Strobel but because of Caribbean flat calm with brilliant sunshine to 80kph winds I was able to experience the place in many different conditions. Over 50 fish over 7lb is nowhere near a record for Strobel but given the number on small dry flies I was more than satisfied. Perhaps 4 days is the right amount (get to experience the 4 beats twice). Lodge staff most hospitable and a lovely comfortable lodge, especially given the remoteness. The Cordero Asado there was the best! And the guanaco escabeche is off this planet. And I sighted a puma, a very rare thing indeed. Perhaps it was because it was the luck of it being St Patrick’s day?